Australian farmers have a different experience in many ways to that of their counterparts in, say, the UK or US. Many live on their remote properties with no neighbour in sight. And Australia is the second driest continent, so improving water efficiency is a major challenge and preoccupation. Each day brings a new set of challenges, often starting before breakfast time. When you're as isolated as the Australian farmer, it pays to know what you're doing and to be organised - after all, help is not always close by. Are the crops grown or animals raised the most suitable for the climate and soil type? Are the crops grown or animals raised profitable now - and will they continue to be in the future given prevailing consumer trends and the effects of climate change? Can you improve productivity with investment in new machinery or practices? Can you diversify income streams to reduce the impact of adverse weather or price fluctuations - for example by providing accommodation to tents and caravans or selling produce direct to consumers via farmers markets? Keeping some cash in reserve is good practice given that your success is largely hitched to two unpredictable variables beyond your control: the weather and prices of agricultural commodities. And don't underestimate running costs. There's the purchase and maintenance of equipment, obtaining myriad permits and licenses, staff wages and so much more to consider when you're balancing the books. Australia's is a challenging climate in which to farm. However, it's not always drought, floods or wildfires causing farmers to shut up shop - it's also banks coming after money they're owed. So try not to rely too much on bank loans. If you do take out loans, give yourself a healthy safety margin when it comes to the size of your repayments. In the day-to-day operation of your farm there are plenty of challenges you'll come up against with a corresponding permit or regulation issued by local, state or federal government. On a local level, you'll have to deal with planning, buildings, neighbourhood issues, animal welfare, the safety of your property, minimising water use, controlling pests and plants, and the conservation of land. On a state level, there are regulations around native vegetation, livestock identification and movement, environmental protection, dealing with stock diseases, vermin and weeds as well as planning movement of plant materials. You will have to deal with the federal government when it comes to taxes, trade, commerce and quarantine. When you buy a farm you should inherit all licenses and permits required for the business's day to day operations - provided you do your due diligence. However, some will require periodic renewal. And if you diversify into different commodities or make other changes you may require new licenses and permits from various levels of government. Make sure you understand relevant rules and regulations before committing to drastic changes, lest you be caught short without the appropriate permission. Landcare was founded in the 1980s in order to protect Australia's land and water. A not-for-profit collaboration between farmers and environmentalists, it seeks to minimise degradation of soil quality and encourage farmers to protect natural habitats and natural resources that human populations rely on. These practices are not things that can be done in one big push at the end of the year or when you're about to sell your property - the preservation of land for the future is something to work towards every day. This isn't just about helping the environment; Landcare-prescribed practices can help boost your productivity, keep the soil productive in the long term and give your brand an eco-friendly appeal to prospective customers. With floods, fires and droughts more common than in most countries, Australian farmers experience their fair share of extreme weather events. And it's the droughts that arguably have the most prolonged and devastating effects. Planning for these weather events is crucial to the future of your farm. For example, a cow drinks 90 litres a day. How much water will you need to store to keep your herd hydrated if the water supply runs dry? Seek ways to make your farm more water-efficient. Agriculture Victoria has a useful guide to calculating how long your dam water will last during drought. If your supply looks inadequate then seek alternative water sources. You may even decide that the risks are too great and sell your farm. Even when it eventually rains, it may not be enough to generate the run-off necessary to replenish your dam. Animal stock can become malnourished during drought. Providing supplementary feed during drought can protect them from nutritional disorders. Overgrazing is another major problem. It leaves exposed topsoil - the most nutrient-rich part - at risk of being blown away during summer and washed away during thunderstorms. You can avoid overgrazing by confining your stock to a smaller area and hand-feeding them. There are myriad things to consider as you manage your farm and property day to day. 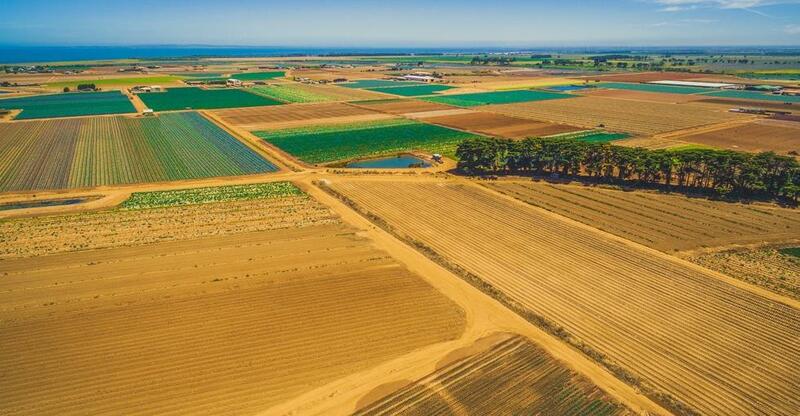 Being patient, prudent and organised, thinking ahead and complying with regulations are arguably as important as any attributes in the unpredictable world of Australian agriculture. Interested in buying a farm? Take a look at our farms for sale.